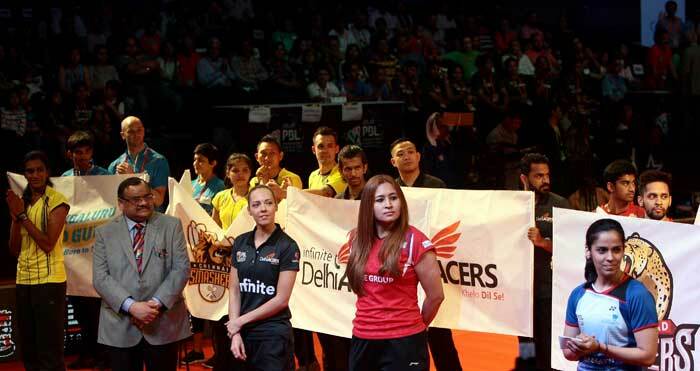 The Premier Badminton League kicked off in Mumbai amidst glitz and glamour. Jacqueline Fernandez grabbed eyeballs with some heart-stopping numbers. 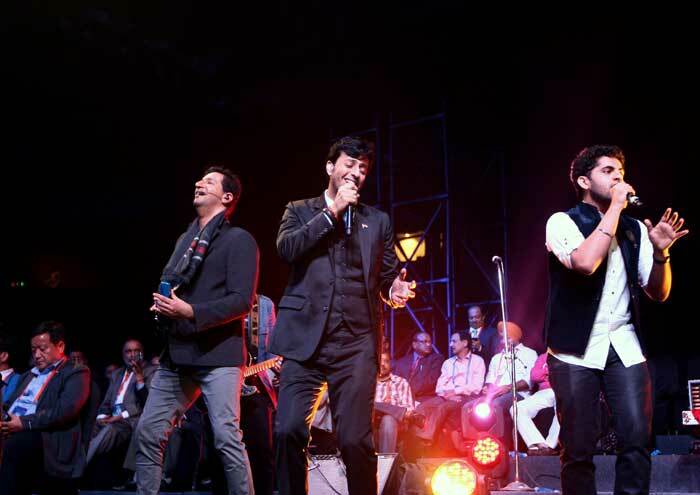 The performance was followed by music composers Salim and Sulaiman, who sang some of their famous tracks like 'Chak de India', 'Band Baja Baraat' to name a few -- and the PBL anthem 'Halla Macha De', which is composed by the duo. 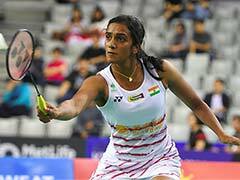 Teams were introduced to a loud cheer at the National Sports Club Of India in Mumbai, which boasted of some of the big names in Indian badminton circuit like Saina Nehwal, PV Sindhu, Jwala Gutta. India's star shuttler Saina Nehwal pulled out of the opener between Awadhe Warriors and Mumbai Rockets, citing a foot injury. The World No. 2, who was bought by Awadhe Warriors for a whopping USD 100,000, said she had suffered a serious foot injury and this being the Olympic year, she did not want to aggravate it. Mumbai Rockets kicked off the PBL with a win as R M V Gurusaidutt beat Awadh Warriors' B Sai Praneeth 14-15, 15-10, 15-8. This was followed by their straight game win in the men's doubles by Mathias Boe and Vladimir Ivanov over the Warriors pair of Cai Yun and Hendra Gunawan. 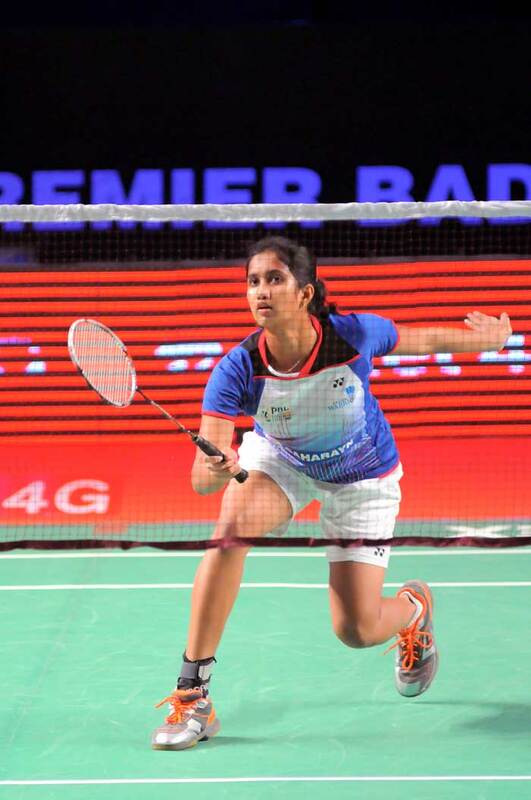 Vrushali Gummadi, who played in place of injured Saina, too ended up on the losing end as she lost her game to national women's champion Ruthvika Gadde. Vrushali was beaten 13-15, 10-15 by Gadde.